The art of happiness, compassion and love comes from within. Meditating on love can be done anywhere and at any time. It is one of the open secrets of meditation, it’s simple, effective and requires very little instruction. Qong/Kung in Chinese means ‘skillful work, hard training or endeavour’. Kung Fu means ‘skillful work, hard training or endeavour’ with ‘time spent’. Qi Gong (also known as Chi Kung) means ‘Qi energy’ through ‘skillful work, hard training or endeavour’. We can take the same principle with love and compassion. When we start to mediate on love, we may not feel it is an easy process to feel positive emotions on demand. We might feel contrived, mechanical or fake. As with all things in life, with practice, patience and dedication we can slowly start to feel love when we meditate. Apply some ‘Qong’ to your meditation. The nature of love in meditation is natural, empty, nothing, free. It is not attached to an object, anyone or anything. This type of love is impartial, un-selective and unconditional. Infinite love is an inner sense of wholeness and connectedness with everyone and everything, relating more to our spiritual self than our emotional and physical being. When you start to meditate on love other opposing feelings may rise up such as anger, frustration, irritation, bitterness or resentment. In Taoist philosophy we do not fight negative emotions head on e.g. “I must not be angry” or “I must block these negative feelings”. Instead we acknowledge their existence, function and importance in our life as a human being, and we find ways to recycle these feelings back into positive emotions. In Taoist internal energy practices, an efficient way of recycling negative emotions is the practice of the inner smile and the 6 healing sounds. If you experience resistance to feeling the emotion of love during meditation, allow any negative feelings to arise and greet them with patience, softness and kindness. Thank your negative emotions for the work they have done and allow them to pass by without focus or reaction. As you exhale allow the negative emotions to leave the body through the nose as a grey mist, dispersing into the clouds and heavens. Meditating on love tends to be a slow starter like growing a plant. At the beginning it takes time for seed to germinate and start its journey. With enough water and nourishment, the seed grows into a seedling, taking strong root and pushing upwards. Then over time the plant starts to blossom and bloom. You may start to feel happier, at ease, more positive, more successful, capable, tolerant, lovable and with an increased sense of purpose. You may start behaving differently in life, taking a new approach with emotions or situations. Your posture may change from being tense, rigid and uptight to more mobile, softer and flexible. You may deal with stressful situations much easier, sleep better and focus more on the importance of life. You may start to notice how life is filled with the essence of wholeness, connectedness and infinite love. You may start to attract like-minded people, the sky is the limit. Can Positive Thoughts change Molecules? Tai Chi and Qi Gong practices are meditation in motion. Meaning the aim is practice with an open and soft heart, allowing you to meditate on love and kindness whilst you move. To truly relax your body as you move, a soft heart is needed. Any tension carried in the mind or heart will be reflected in the body causing awkward and tense movements. There is also the powerful art of standing practice (Zhan Zhuang), where you can meditate on kindness and love, all the time sending an inner smile to your heart as you hold your softly aligned posture. Passive Qigong meditation (Nei Gong) methods like the inner smile and the 6 healing sounds are ways of training positive emotions within the body relating to the 5 yin organs and the theory of Traditional Chinese Medicine, from an internal energy cultivation approach. Instructor Nicola is passionate about sharing meditation practices with her students. She provides live online private tuition using Skype and/or Facebook video call. 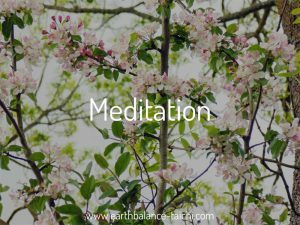 Teaching you ancient Taoist meditation techniques that will help you towards a regular practice. This type of lessons is personalised for your needs and experience. Beginners are encouraged, this service is open to everyone. 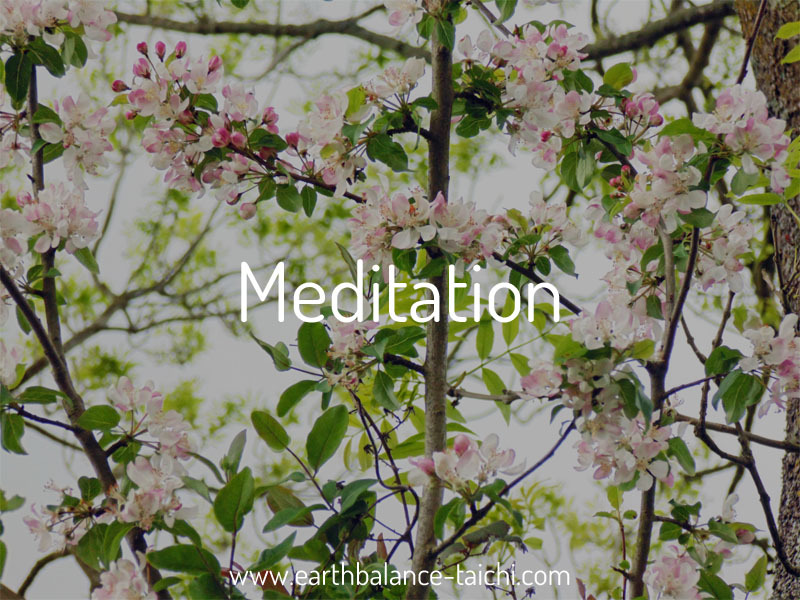 Visit the Meditation section in the webstore to book your lesson.